A New Metal Gear Game Came Out Today. Does Anybody Care? Metal Gear used to mean something. Even after Konami had effectively killed off its other legacy brands, Metal Gear still held a unique sway over the gaming audience. Its tortured political allegories, convoluted backstory and absurdist indulgences marked it as a singular work in the annals of videogames, and established creator Hideo Kojima as the game designer most likely to be called an “auteur” in breathless blogs and message board posts. When Metal Gear Solid V was released in two chunks in 2014 and 2015, both launches were treated as genuine events by Metal Gear fans and the games press, with both their flaws and strengths discussed for weeks. A Kojima-developed Metal Gear game could monopolize the attention of players and critics alike more than almost any other type of game. Metal Gear Solid V was released two-and-a-half years ago. Meanwhile a new Metal Gear game came out today and it’s very possible you’ve heard almost nothing about it. My job is to know about these things and pretty much all I’ve heard about Metal Gear Survive is that it was basically unplayable at launch due to network issues. It has snuck up on the market with barely a sound, quietly appearing on shelves and digital storefronts overnight, and has gone out of its way to be difficult to play. It’s a game that doesn’t seem to want to exist, and that many players wish didn’t. This is what happens when an “auteur” is no longer in charge. Kojima was driven out of Konami shortly after Metal Gear Solid V came out and now has nothing to do with the series. Metal Gear is adrift with unsteady new leadership, and the bulk of its fans seems to have no interest in the series post-Kojima. The bad blood between the designer and his former employer is so well-established at this point that some view Metal Gear Survive not just as a lazy cash-in on a once-valuable name, but as a pointed attempt to undermine the legacy of Konami’s former employee. 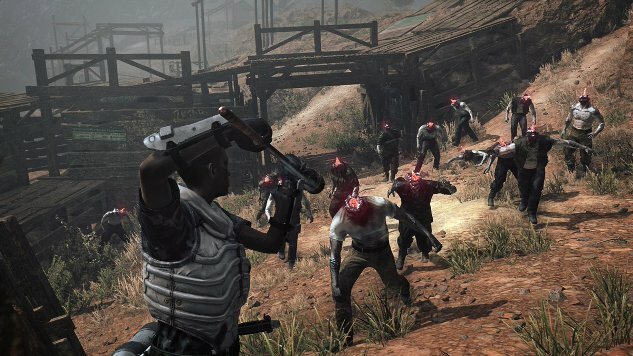 Either way, throughout its development and pre-releasing marketing Metal Gear Survive has been preemptively dismissed by many Kojima fans as a game worth ignoring. I promise you that Paste isn’t ignoring this game. It’s true that we don’t have a review, or any other coverage of it today, and perhaps never will, but that’s not out of some sense of respect for what the series used to be or the man who used to make it. It’s because there’s been so little buzz about this game that it completely missed our radar. Last night I heard people talking about its release and assumed it was still a few weeks away; they were talking about a game that they were just about to start playing. (Or at least try to start playing.) The expectations for this game are so low, the conversation so non-existent, that I basically forgot it even existed. This is what Konami’s been good at lately: making us forget it exists. Once one of the biggest developers in Japan, and a stalwart in America since the days of the NES, Konami has systematically diffused interest in its most popular brands over the last few years. From Castlevania to Silent Hill to Metal Gear, Konami has spent most of this decade squandering its biggest assets and torching the company’s reputation with its fans. It now largely focuses on gambling machines and mobile games. The almost invisible release of Metal Gear Survive shows how far this company has fallen.